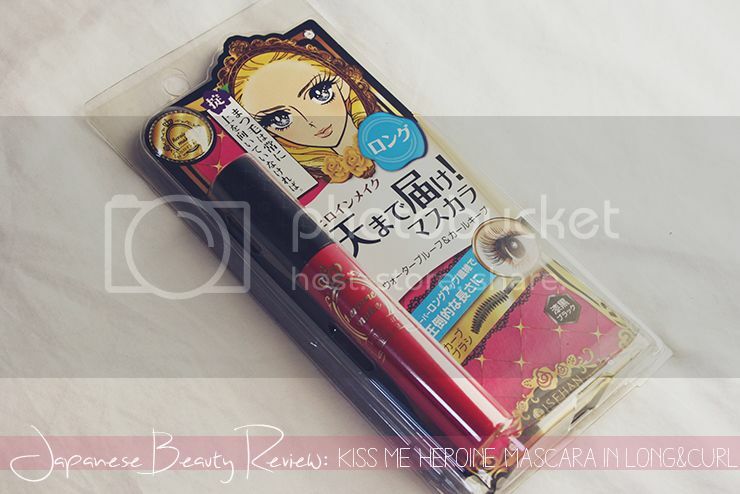 Japanese Beauty Review: Kiss Me Heroine Mascara in Long & Curl - Worth the Hype? Although I was not able to buy as much as I originally planned in Japan, there was one thing that I really wanted to get: The Kiss Me Heroine Mascara in Long & Curl has been in the top rankings of Cosme (the one and only Japanese cosmetics ranking site that matters) for consecutive years now. 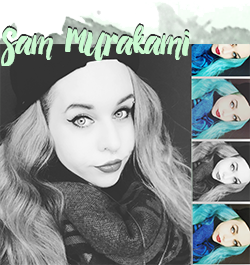 I had no clue when I was living in Japan that Japanese mascaras were actually super popular around the world and raved about. I guess I really focused on my studies back then and didn't really bother with much else? :D However, a mascara that receives that much love from around the globe must be worth a try I thought to myself and here we are. It is important to note that I am loyal to my one and only mascara, the Maybelline Volume Colossal in Waterproof, for about ten years now which is the reason I never post mascara reviews. I never try new mascaras. I have declared my love and have been faithful - until a few days ago. Was it worth it..? Plus point for being pink and easy to find in my make-up purse! The packaging is adorable yet quite simple. The wand is a lot more slim than what I am used to and on top of that it has a C-curve when I only ever used straight wands before. Even without Japanese skills quite easy to understand instructions, cudos for that Japan! This mascara promises you 1) unbelievably long lashes, 2) no clumping 3) strong curl keep 4) and to be waterproof. 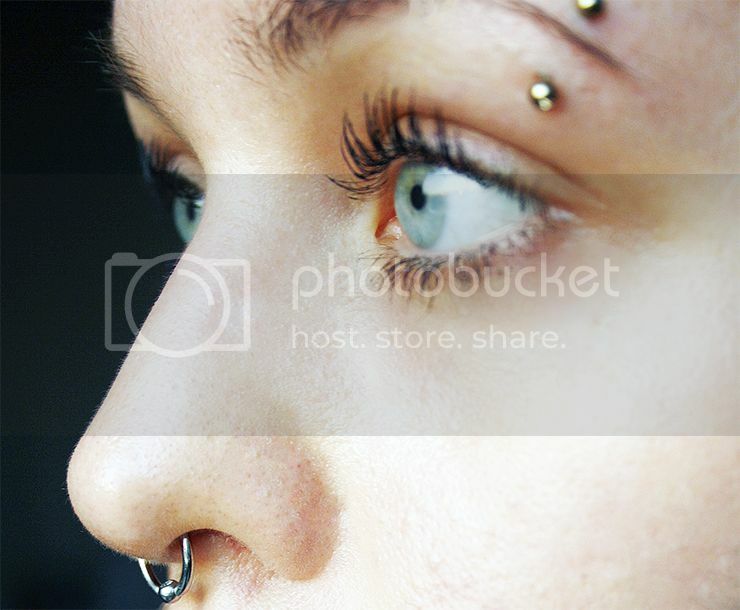 I don't really use it like it is shown in the picture but just... like I usually use my mascara. Everyone has their own way of doing it I guess. So, does it do everything it claims..? No make-up except for using one coat of Kiss Me Heroine Long & Curl and my Shu Uemura eyelash curler. 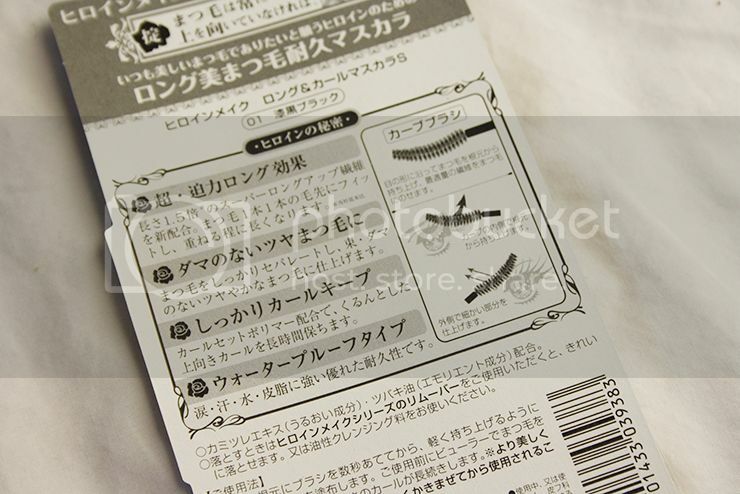 As you can see, yes, regarding its first claim, this mascara indeed proves to create some stunningly long lashes. I have to say that my lashes are quite long naturally so you won't get magically long lashes with this if there's not much to build on. Being a fiber mascara however, the tiny fiber particles make it possible to lengthen your lashes quite a bit no matter how short or long they may be. If I curl my lashes too much, my lashes will touch my upper lid when using this mascara so be careful not to...overcurl? As for the second claim, no clumping.... that is just a huge lie. 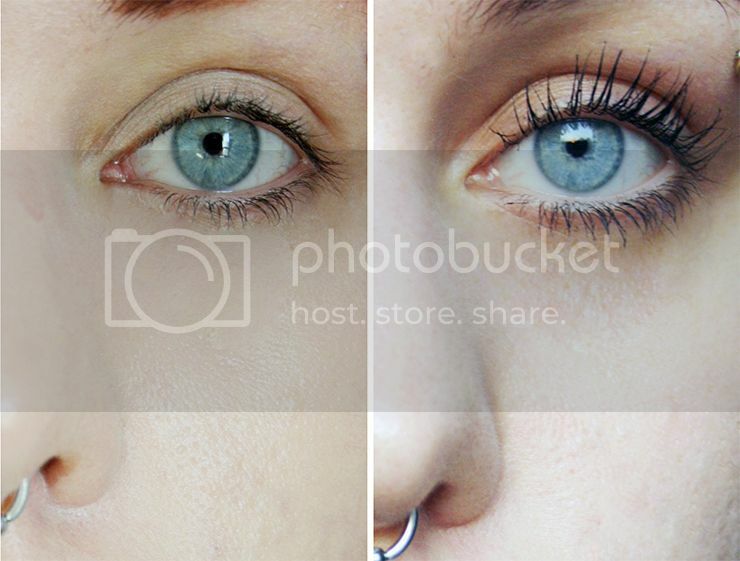 This mascara clumps like no tomorrow if you're not careful with application. 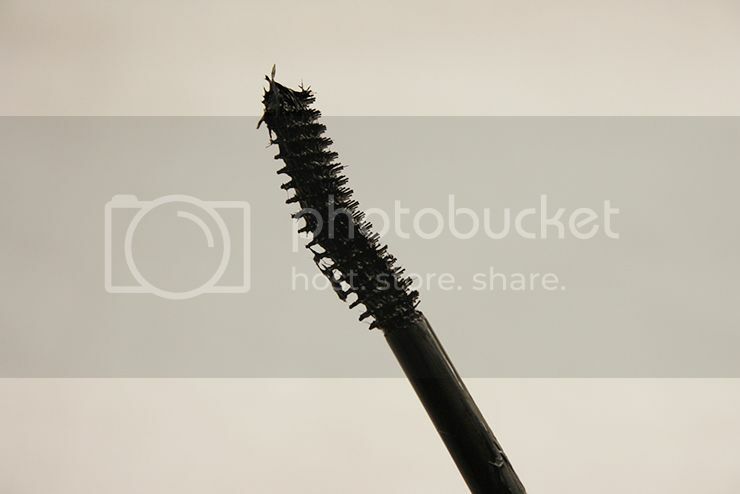 The main problem I have with this mascara: There is just SO much product on the wand. So so so much product! I'm not sure if it gets better by use or if I should warm it up in order to liquify it a bit more but..... if I don't wipe 90% of what is on the wand off on the packaging before I will get the darkest and most clumpy lashes in the world. I achieved the look in these two pictures by carefully wiping off all excess product back onto the tube before I began with the application. I can get a good result by doing this but it still bothers me. 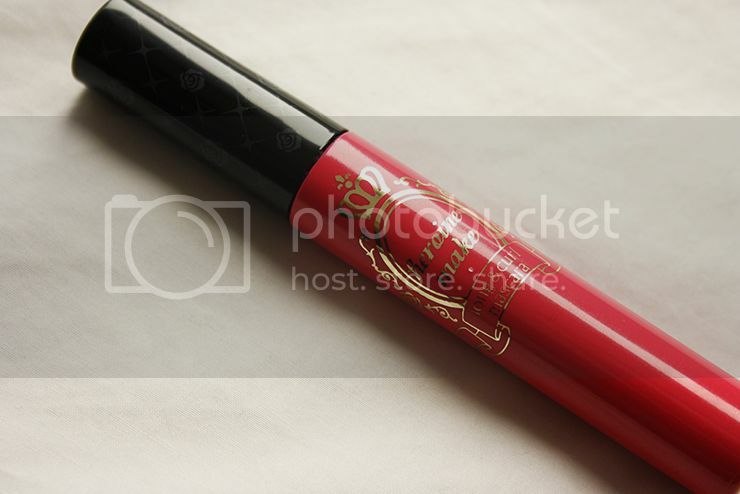 Also, I always always get lots of mascara on my lids when I use this. 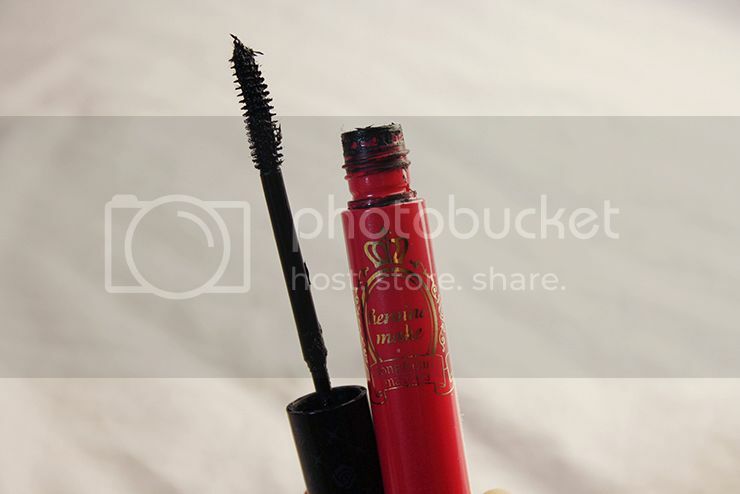 It happens with other mascaras as well but with this sometimes half of my lid is black and I have to clean it up afterwards. I do apply it with a spoon now (holding the spoon against my lid so it stains the spoon not my eye lid) - I am not sure if I am especially untalented or if this is a general problem. Regarding claim three and four, yes and yes. The curl does hold all day and this mascara is amazingly waterproof. So waterproof indeed, that I have read many people have problems taking this off in the evening. I personally have no problem, using my usual Bebe Make-Up Wipes and Clinique Take The Day Off Eye & Lip Make-Up Remover in case of heavy eye make-up. Due to the problems I have with this mascara, it will not be my everyday solution as the problem with the application is a bit too much of a hassle for me. However, I do like this mascara as it gives me long and defined lashes that don't smudge throughout the day. This will be my mascara for days when I know I'll be out all day, maybe working and going to a party afterwards when I know the longer time I need for application in the morning will pay off because I have to run around 14 hours with it. I do recomment this if you don't mind taking an extra minute for taking extra care with your application and feel you need a tad extra length that day. I may eventually repurchase this. If I happen to be in Japan or find a good deal.